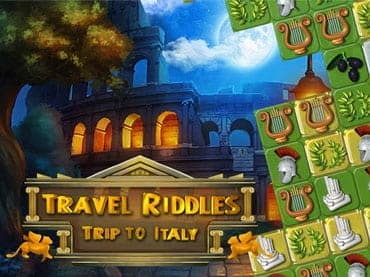 Travel to the city of Rome and across Italian landscape in Travel Riddle: Trip to Italy. This match 3 game has seven different episodes and huge amount of challenging levels. Collect more than 80 artifacts to beat this beautiful puzzle game. Travel Riddle: Trip to Italy is one of those games that starts out easy but become very challenging later on. The graphics are beautiful with a soundtrack to match. The match 3 puzzles have new interesting bonus items and power-ups that you need to use carefully. If you have questions about Trip to Italy: Travel Riddles game, please contact us using this form.